Info about our Party Room and how to reserve it. 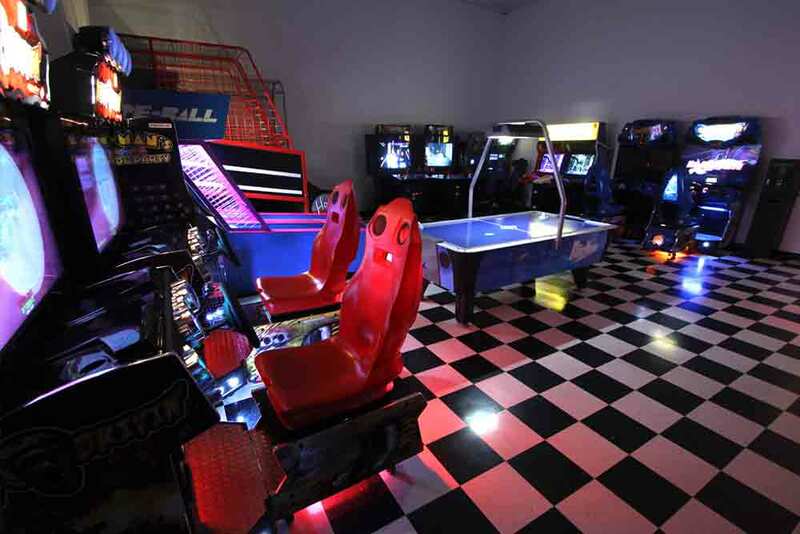 Reserve the Party Room for birthdays, business meetings, or group parties and get free tokens for the arcade. The party room seats 32 people comfortably. The renter must bring all supplies needed to furnish their event. A charge of $25 reserves the Party Room and includes 20 tokens. Additional tokens can be purchased in the arcade via the token machine. 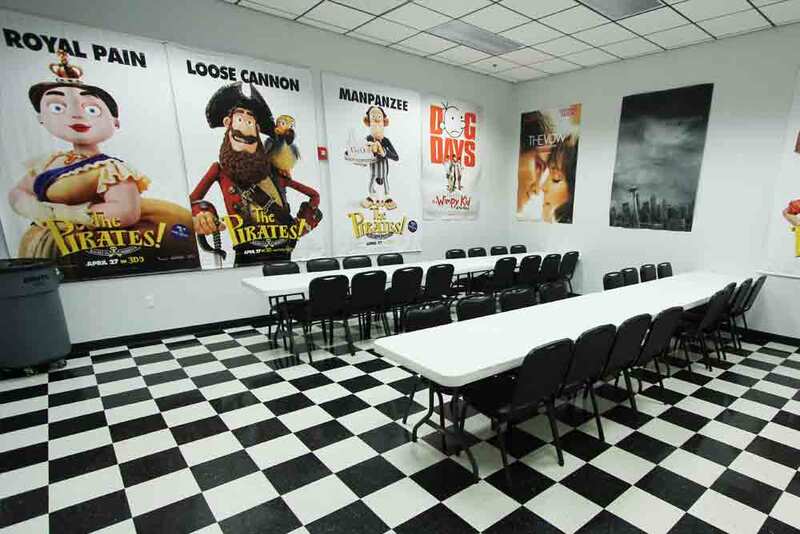 Setting up the Party Room for your event is fine, however the room must be setup within the two reserved hours, no exceptions. 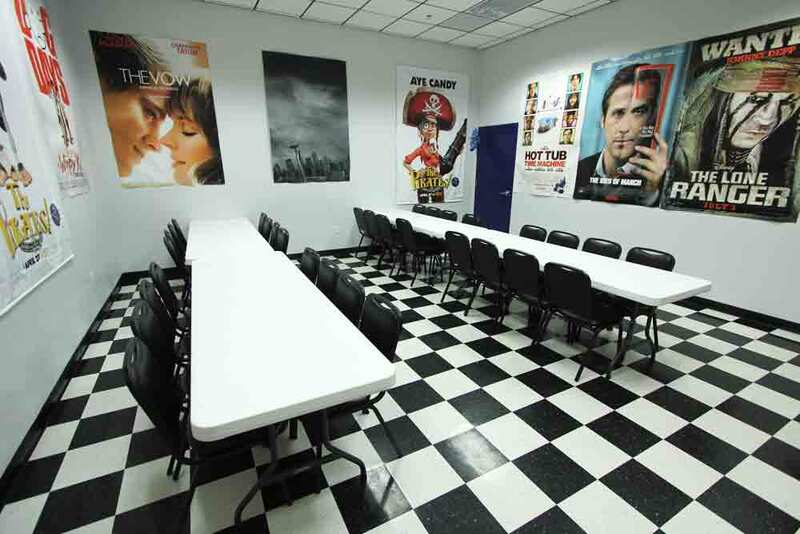 The Party Room is only available during our regular business hours. On a typical Saturday or Sunday, the Party Room can be reserved as early as 1:30pm. On weekdays, the Party Room is available at 6:30pm only. Film screenings, concession and ice are not included with the reservation and must be purchased separately. We do not furnish plates, drinks, napkins or lighters.The renter can bring drinks, food and supplies, but they must stay within the Party Room. We only accept cash or check payments for Party Room reservations. Please feel free to contact us for more information. Please print and fill out the following form and bring it to our theatre office.